The area where Forest Knolls was built was part of an 1100-acre forest planted by former mayor Adolph Sutro, one of San Francisco’s most colorful characters. Sutro Forest and the forest on Mt Davidson are among the last remnants of these woods. 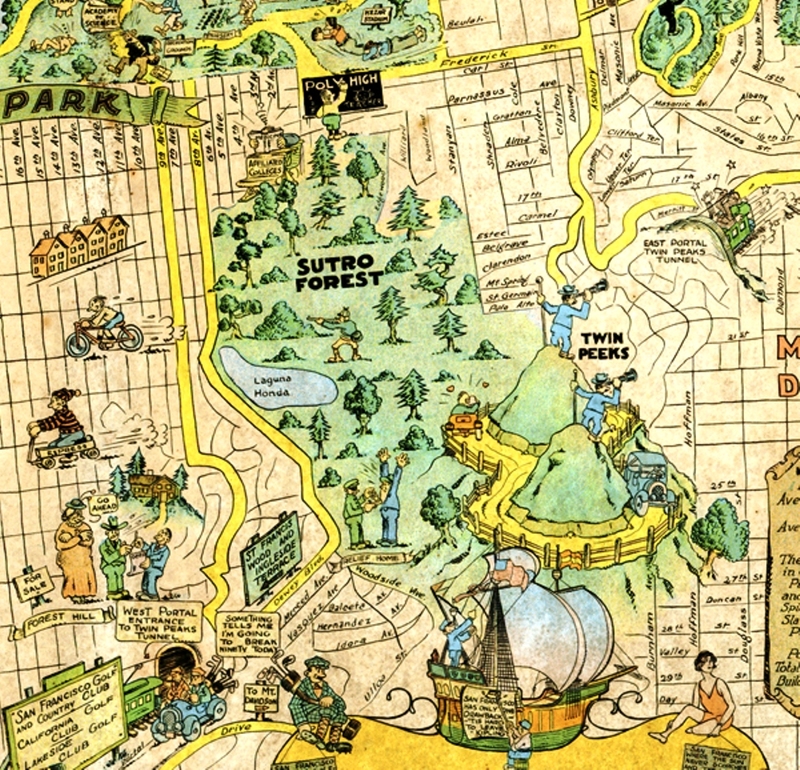 This map, from 1927, shows Sutro Forest before. Trees were cleared to build first Midtown Terrace, then Forest Knolls. 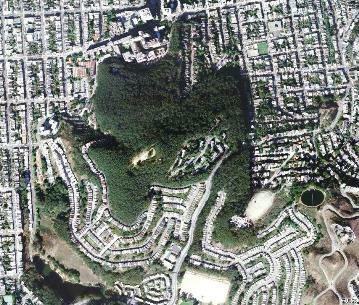 For a historic picture of Forest Knolls, and a link to more pictures, go HERE. CLICK HERE for a lovely description of a walk down rural Clarendon Avenue in 1896.